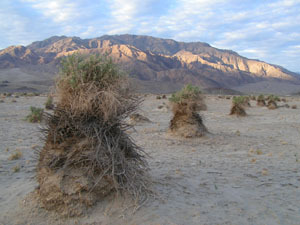 A California Natural Landmark is a natural area that is designated as one of the best examples of California’s natural heritage. 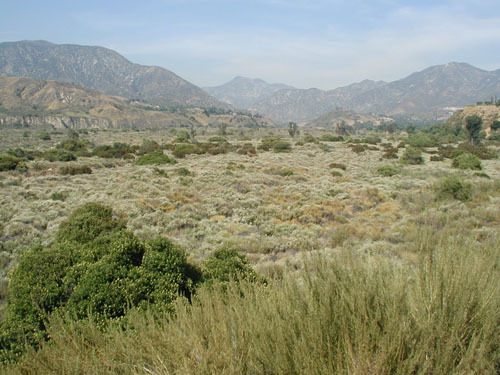 An area qualifying as a California Natural Landmark could be an exceptional biotic community or habitat of native plant and animal species, or an outstanding geological feature such as a specific formation, landscape or process. The California Natural Landmarks Program (CNLP) identifies these natural areas that best illustrate the biological and geological character of the state, enhances the scientific and educational values of preserved areas, strengthens public appreciation of natural history, and fosters a greater concern for the conservation of the State’s heritage. The California Natural Landmarks Program recognizes the conservation of outstanding examples of natural areas that are of value to the state as a whole, rather than to one particular region. 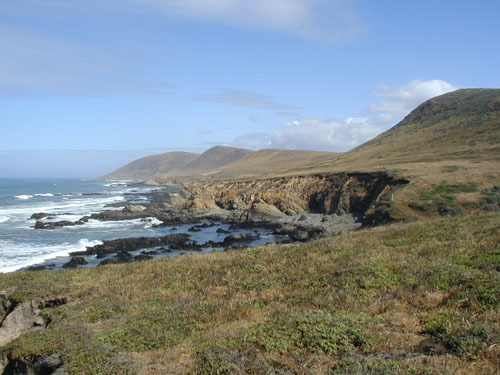 As many of the state’s significant geological and ecological features are found either partly or entirely on privately owned land, this statewide program identifies the best examples of California’s natural features in both public and private ownership, and the program encourages the owners of designated areas to voluntarily protect and preserve the site and its natural processes. 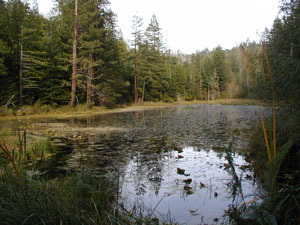 California Natural Landmarks (CNLs) are designated by the Director of the California Department of Parks and Recreation, with the landowner's concurrence. 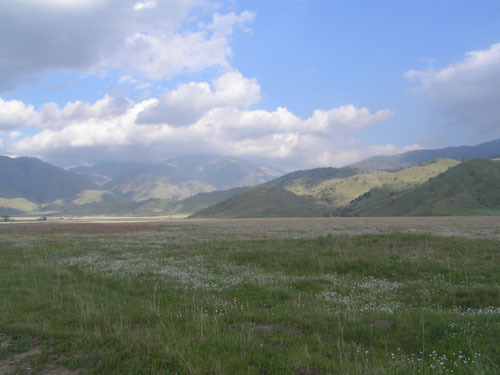 The California Department of Parks and Recreation (Department) administers the CNL Program, and lists the sites in the Register of California Natural Landmarks. The California Natural Landmarks Program is applicant funded. The intent of the program is to acknowledge and promote partnerships for the stewardship of prime natural resources on privately and publicly owned land. Potential natural landmarks are identified by request of the property owner to the Department to designate his or her property. 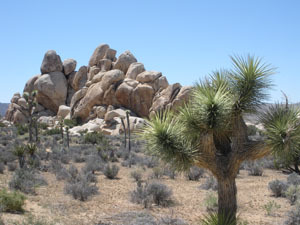 The Department will prepare a cost estimate for studies needed to determine whether the property qualifies as a California natural landmark, including administrative and staffing costs, and any other costs attributed to making a determination. The Department will also prepare a list of qualified scientists familiar with the particular natural region who can do the required studies. If the property owner accepts the cost estimate and agrees to fund the process, he/she then chooses a scientist from the list to do the required studies. The chosen scientist will assess the area’s statewide and regional standing using the state significance criteria and any additional information provided by the Department, and the report will be peer reviewed by at least three scientists familiar with the region, providing the Department with information on the scientific merit and strength of supportive documentation in the evaluation. The Department may make a determination based on existing information previously gathered by other federal or state agencies, or gained from other scientific studies. The Department will determine whether or not the property qualifies for California Natural Landmark designation, or if additional information is needed before a decision can be made. If the property does not meet the criteria the land owner will be notified. If it does meet the state significance criteria, the Department will notify all appropriate interested parties, take comments, and the Director will decide if the property will be designated. If so, the owner will be notified and the property will be added to the California Register of Natural Landmarks. If requested, the owner will receive a certificate recognizing the owner’s interest in protecting and managing the property to preserve the values on which the designation was based, and the Department will provide a plaque (at cost to the owner) for display in or near the site. Also upon request, to the extent the Department’s resources permit, the Department may help arrange and participate in a presentation ceremony. The Department retains ownership of the plaque, and if the designation is rescinded, may reclaim the plaque. Illustrative Character - the property exhibits a combination of components recognized as unusually characteristic of a particular type of natural feature. Present Conditions - the integrity of the significant features has been maintained, enhanced, or restored. 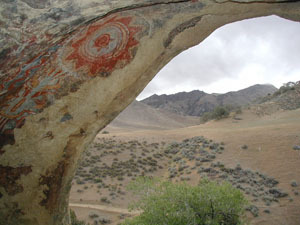 Diversity - in addition to the primary feature, the area exhibits high quality examples of other biological or geological features or processes. Rarity - rare geological or paleontological features or natural communities are present, or high quality habitat for one or more rare, threatened or endangered species. Value for science and education - the site contains known or potential information associated with a significant scientific discovery or concept, or extensive records of onsite research, resulting in an unusual opportunity for public interpretation of the natural history of the state. The values for which the designation was made are significantly degraded, lost, or destroyed. The owner requests the rescission of the designation. An error was made in the original evaluation of the property, or in the designation procedures. Designation of an area as a California Natural Landmark does not constitute a change in the environment, nor is it a project pursuant to Division 13 of the California Public Resources Code. 1. Download the nomination materials from links on this website. Only use these forms. If assistance is needed contact the Natural Resources Division (see Contact Information). 2. Complete the Application for Designation (the pdf version must be printed and then completed by hand, the MSWord 2003 version must be completed on a computer and then printed) following guidance in the Instructions for Applicant. Written consent from the property owner(s) is required for designation - the application form signed by all landowners will be considered the written consent of all landowners. If a plaque is proposed, written permission of the property owner upon whose land the plaque is to be placed must be stated on the application form. Gather all other required materials listed in the instructions. 3. Mail or fax completed Application for Designation and all other required materials to the California Natural Landmarks Program, Natural Resources Division for review. 4. Applications will be reviewed by Natural Resources Division staff. Those that do not have written consent from all property owners, are inadequate or are not prepared according to the instructions may be returned to the primary landowner/applicant for further work. 5. 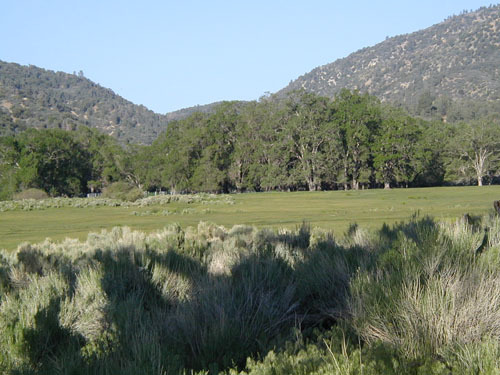 The California Natural Landmarks Program will notify the primary landowner/applicant of the next steps, as outlined in the process of designation (outlined above). The Department and any scientist performing studies will obtain the owner’s permission before entering the property. The property owner who initiates a request is responsible for all costs of determining whether the property qualifies for designation, as well as any costs of actual designation, including the costs to the Department. Design and fabrication of the plaque will be owner-funded, although the plaque will revert to the Department if the designation is rescinded. Revenues collected are deposited in the Natural Landmarks Program Administration Fund, and upon appropriation by the Legislature, the Department may expend the moneys to administer the program. The owner may cancel the request for designation at any time and is responsible only for costs incurred prior to the cancellation. If cancelled, or if the designation is denied, information already submitted or developed at the expense of the owner will be returned to the owner.